The next time you slurp down a soda or acidic fruit drink, remember that high levels of sugar and acid can cause serious tooth erosion over time. 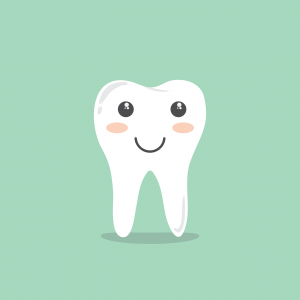 In order to protect your pearly whites, it is important to know how to prevent tooth erosion. The next time you slurp down a soda or acidic fruit drink, remember that high levels of sugar and acid can cause serious tooth erosion over time. Tooth enamel is a strong, precious substance that protects your teeth from daily wear and tear. The hard outer layer protects the nerves in your mouth from feeling extreme temperatures when you eat or drink hot and cold foods. Additionally, tooth enamel prevents acid and other chemicals from damaging your teeth. When your hard shell erodes, your teeth become more susceptible to cavities, decay, and sensitivity issues. In order to protect your pearly whites, it is important to know how to prevent tooth erosion. How can I prevent tooth erosion? Follow these tips to limit acid production in the mouth and help protect your teeth’s enamel. Eat with meals. Instead of snacking throughout the day, save acidic foods for mealtimes. By eating them with other foods, you will help neutralize the acid. Rinse your mouth after eating. Sip water during and after meals to wash the acid out of your mouth. Use a straw. If you must drink acidic beverages, reduce their contact with your teeth by using a straw. Avoid carbonated drinks. Swap out carbonated drinks with water, milk or tea. Wait before brushing. Acid softens your enamel, so brushing immediately after eating or drinking high-acid foods or drinks can actually cause damage. Wait at least half an hour before brushing with fluoride toothpaste. Fluoride acts as a booster for your teeth, providing further protection against acid and decay. At Longmeadow Family Dental Care, we can take care of your entire family and help you in the fight against tooth erosion. If you have questions about your tooth’s enamel or wish to schedule a routine checkup, make an appointment with your Longmeadow dentist today. Payment made by a third party to a beneficiary or to a dentist on behalf of the beneficiary, to offset expenses incurred for a service covered by the dental benefit plan.